The book was cheap, and I am a Brandon Sanderson fan. It is a short book, but so was The Emperor's Soul, and I thoroughly enjoyed that one. It is a nice small bite of fantasy that will leave you annoyed for more. I walked away from this book annoyed. Yes, it is well written. Yes, there is character growth. Yes, there is some good action. There is a good fantasy mechanic too. Honestly, I do not have much to complain about as far as the content. There is just simply not enough of it. The book ends begging for the rest of the story. He closes some important plot points, but the story is definitely not over yet. This entire book can be read in an evening, which is fine. But my point... I felt robbed: a novella should not require a novella sequel! If it is part of a series, making it a non-essential side story or a prequel would be OK. Which got me thinking... I looked online because it just felt off. Apparently, this little book is based on a video game. I had no idea. If you are a fan of the video game, I cannot comment. Perhaps this little book will succeed for you. Maybe this book is meant to be a little side story just for the fans? I never played the actual game. If so, a warning would've been nice. I am now worried. Will the second book actually bring the story to a close, or will it also leave me annoyed? Is it just another little side story? I got the book. I will let you know in that review and if this "series" as a whole is worthwhile. Based on the merits of the first book, I say no. Spend your free audible credit on Warbreaker instead. 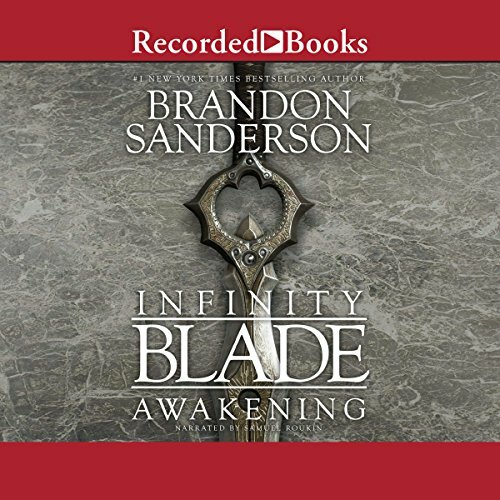 Discuss Infinity Blade: Awakening (Book 1) in the forums.